Hot Item! - Our Top Pick for Nesting Chairs with Arms! 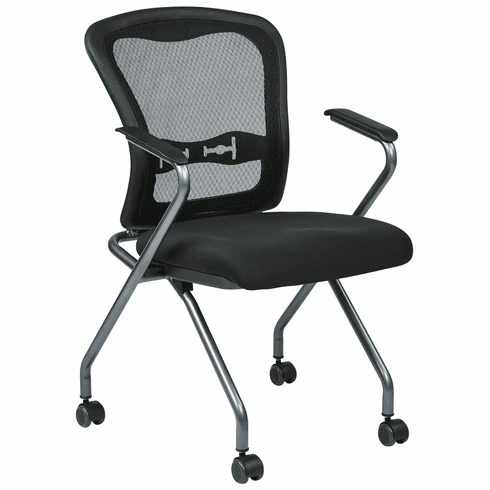 This mesh folding chair from Office Star features a "Pro-Grid" screen mesh back rest for maximum support and ventilation. We recommend this model as a low cost alternative to the Mayline TSH1 chair.